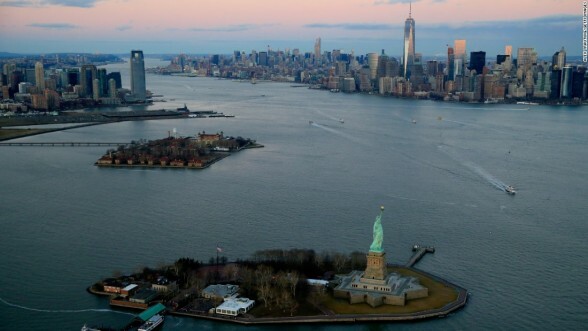 One of the most mesmerizing sites of New York City is, no doubt, the World Trade Center complex in Downtown Manhattan. But it wasn’t always so after the collapse of the Twin Towers in 2001. For almost a whole decade all we could see was just a big hole in the ground, and we hoped for a better city site there. And, as lucky as we are, recently very tall skyscrapers have been popping up like beautiful, giant mushrooms, defining our skyline and bringing hope of a successful, magnificent city, as New York has always meant to the world. 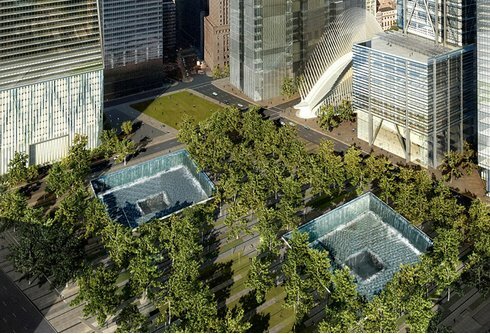 The terrorist attacks of 2001 gave name to a new site, the National September 11 Memorial and Museum, located on the spots where the old Twin Towers used to stand. Despite the commemoration of the death toll of 2983 people in two attacks to those buildings, this new site is absolutely beautiful and pleasant to see, where the two water cascades resemble absence. Another interesting place to visit are the subway station that cost 2 billion dollars to build. With amazing shopping stores underground, New Yorkers had different opinions on the new venue: I guess some of us are really used to seeing ugly, dirty, old train stations, so this brand-new, modern station doesn’t resemble the New York we’ve been living in. 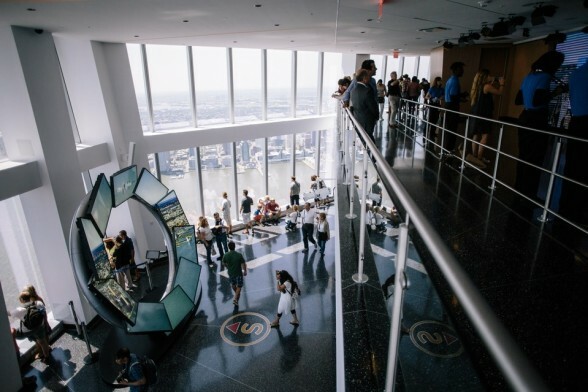 And naturally you can’t miss the One World Trade Center Observatory. It is absolutely fantastic, starting with an amazing elevator that takes us all the way to the top floor in just a minute, and it has screens that feature videos of what the city looked like centuries ago, long before it was the financial capital of the world. From up there, you can see so much of this fascinating city–even though I have been living here for 15 years, I couldn’t help going there and facing the long line, because I knew the view would be worth it. Before finishing sharing with all of you so much that I myself have experienced from this city site, I’d like to also share how I felt about the big hole in the ground: When I lived in Carroll Gardens, Brooklyn, I used to walk on the Brooklyn Bridge to Manhattan and every time I saw the site of destruction, I wanted to see a change. Because, to me, getting to Manhattan meant fun, success, prosperity in my own life, but seeing the destruction was so often depressing, thinking of all the thousands of lost lives on that terribly sad day. On the other hand, it also meant hope, knowing that one day it would change, that it would become a beautiful, inspiring site again. And the it did: in 2015 the One World Trade Center finally opened, reshaping the skyline and symbolizing the strength our city means. And it’s also funny to think that the day I had chosen to visit NYC for the first time and visit the Twin Towers, the old buildings collapsed, so I got no chance to ever visit them.